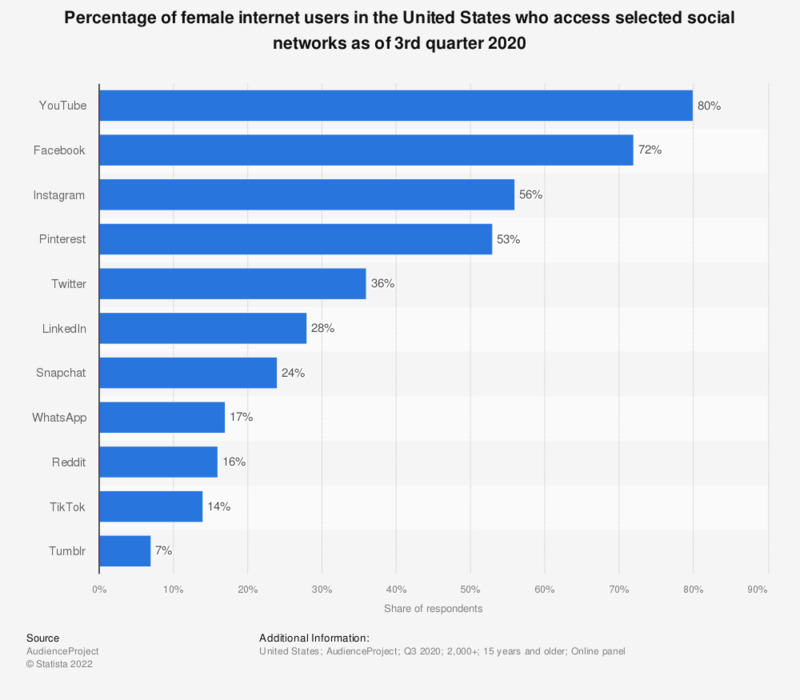 This statistic gives information on the percentage of female U.S. internet users who access selected social networks as January 2018. During the survey period, We Are Flint found that 65 percent of female internet users in the United States accessed Pinterest. Everything On "Social media usage in the United States" in One Document: Edited and Divided into Handy Chapters. Including Detailed References. Would you be more inclined to search for jobs via social media than traditional methods*?